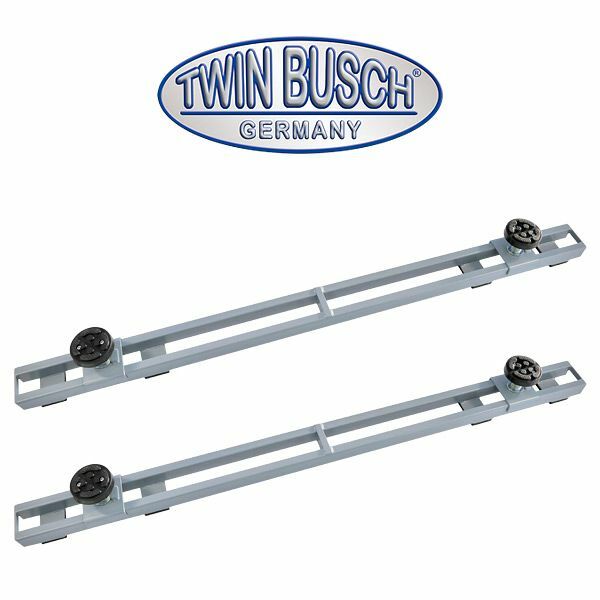 Set of cross beams for lifting vehicles with narrow frames such as off-road vehicles or pre-war vintage cars. Set of cross beams consisting of 2 pieces (turntable with double thread). Fits all Twinbusch scissor lifts.